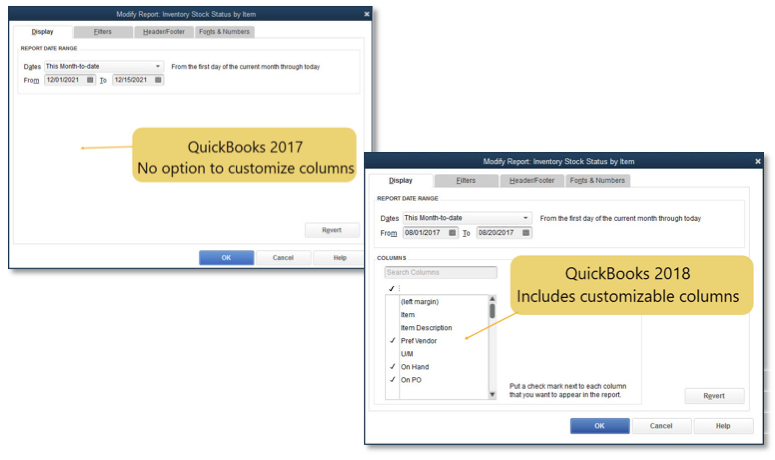 QuickBooks® Desktop 2018 focuses on new and improved features that help accountants and their clients complete tasks with less effort. Join me for a review of these features. 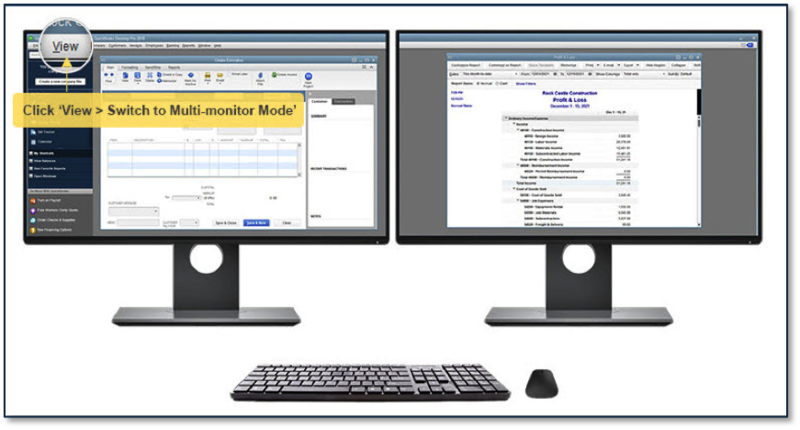 Accessible: For up to three connected monitors, from the menu bar in QuickBooks, select View > Switch to Multi-monitor Mode1, or use the keyboard shortcut, Ctrl+Alt+M. 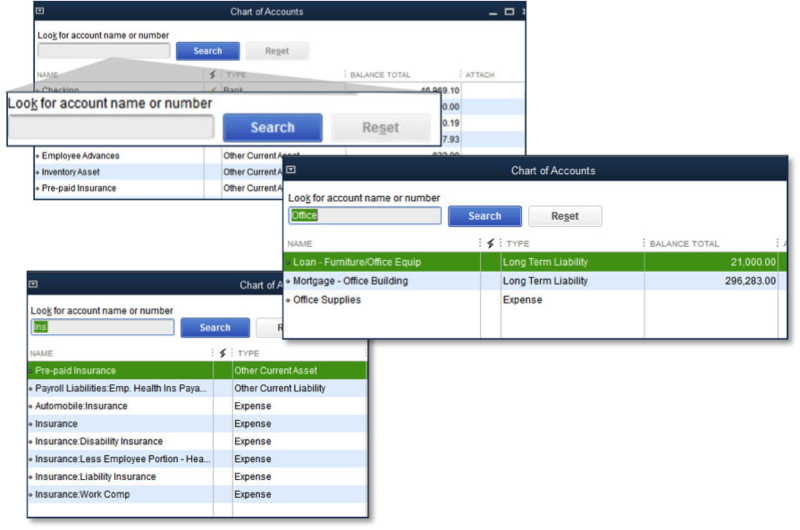 When this setting is enabled, each open window in QuickBooks will display a Move Window to Next Monitor button near the top right. 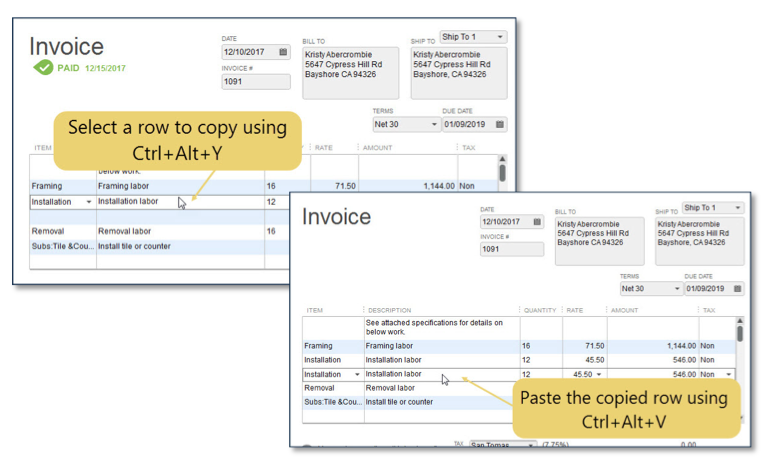 Accessible: For those with an Enhanced Payroll Subscription2, from the displayed Home page, when payroll liability payments are within seven days of their scheduled payment due date, the Home page will display a red marker on the Pay Liabilities icon. 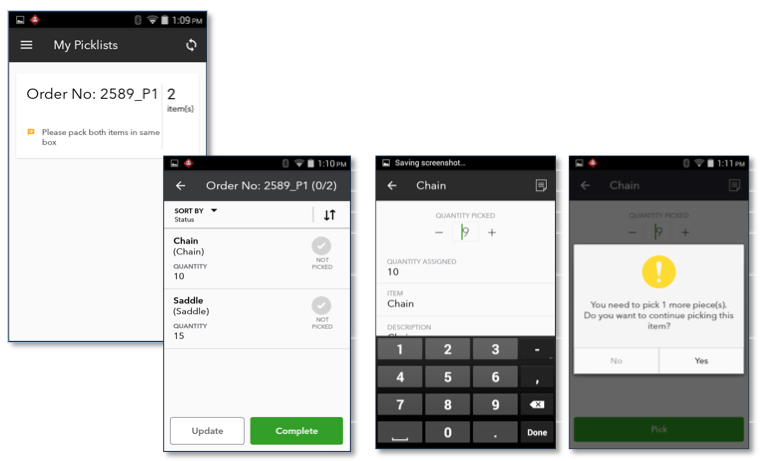 Unlock this and other accountant tools while onsite with your clients, using QuickBooks Pro and Premier 2018 and using your Accountant ToolBox access. 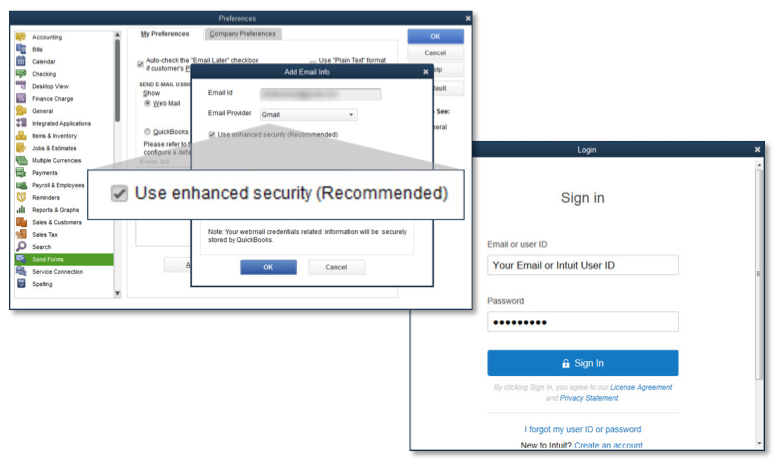 Simply subscribe to the Deluxe or Premium level of the QuickBooks Desktop ProAdvisor® Program.3 With a paid ProAdvisor membership, you will have access to the Accountant ToolBox, including this tool and many more in your client’s QuickBooks Pro or Premier 2018. Accessible: To connect a mobile barcode scanning or Android device5, log into the Enterprise company file as the Admin user. From the menu bar, select Edit > Preferences > Items & Inventory, and from the Company Preferences tab select Advanced Inventory Settings and then click on the Site Operation tab. 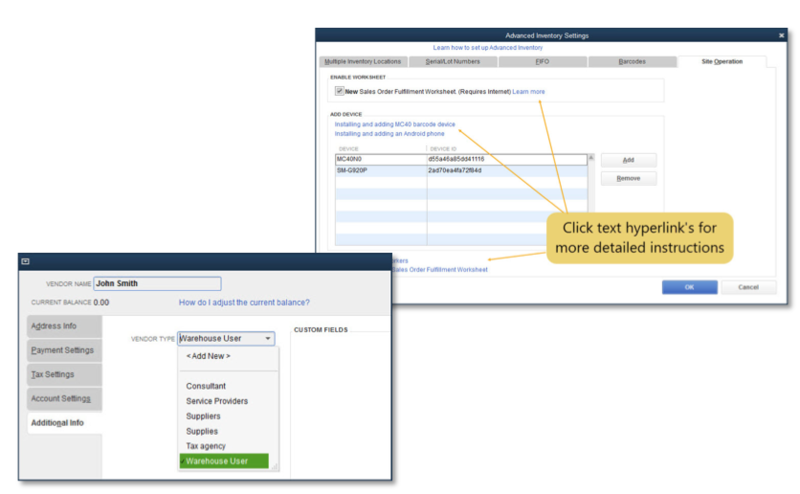 For technical details about wirelessly connecting a barcode device or Android phone to the QuickBooks Enterprise file, click the hyperlink text fields. 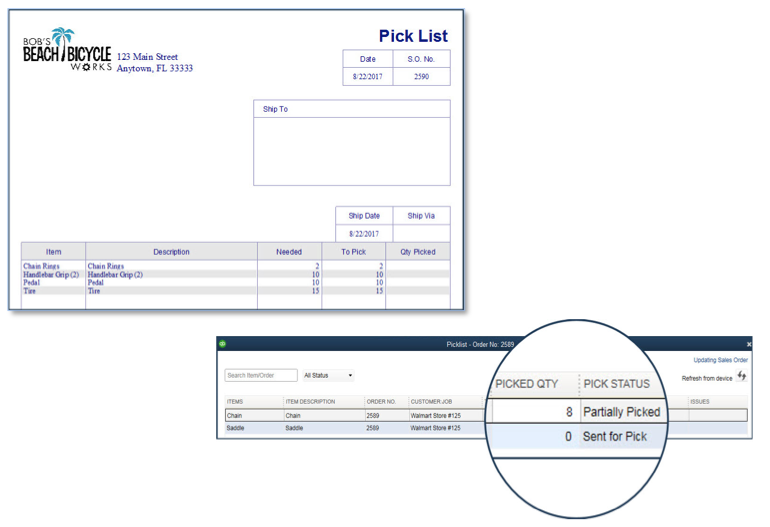 The assigned picker scans barcodes or serial number barcodes – or, if not scanning, manually enters the quantity of items picked. 1 Up to three monitors supported. Multiple monitors not available in a hosted environment. 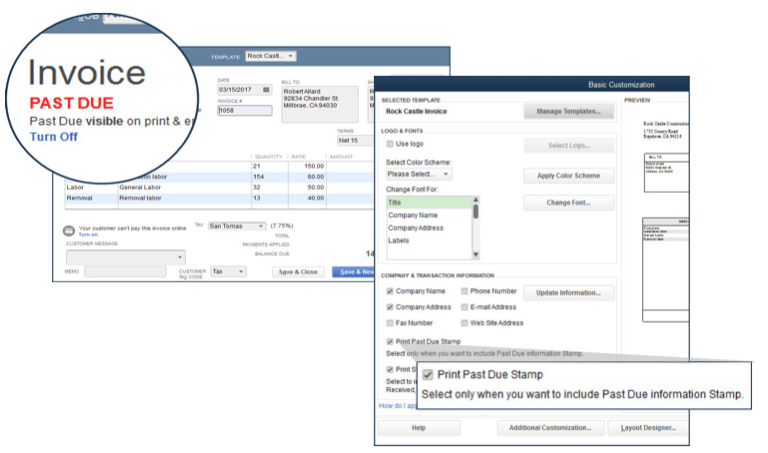 2 Enhanced payroll subscription required. 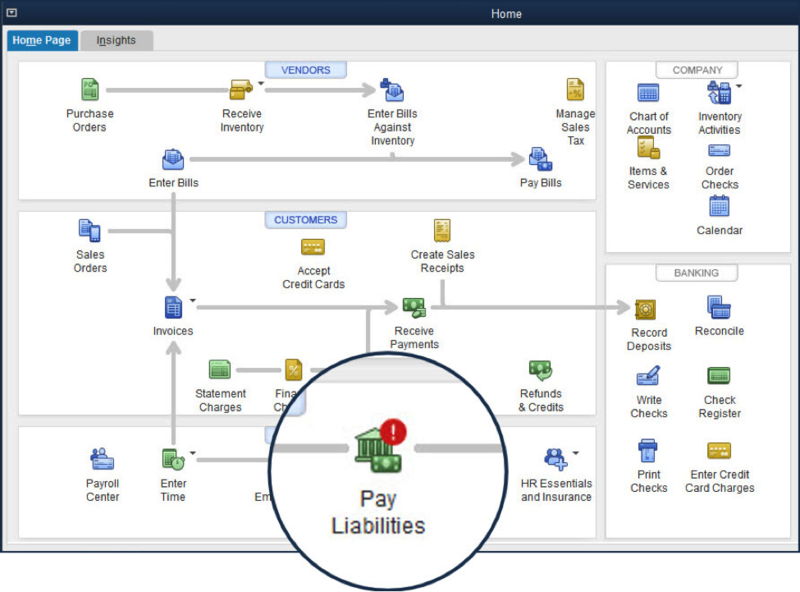 For more information: http://payroll.intuit.com/payroll-services/compare-payroll/. 3 For more information about the QuickBooks ProAdvisor program, visit the following website: http://quickbooks.intuit.com/accountants/proadvisor/. 4 Scanners sold separately. 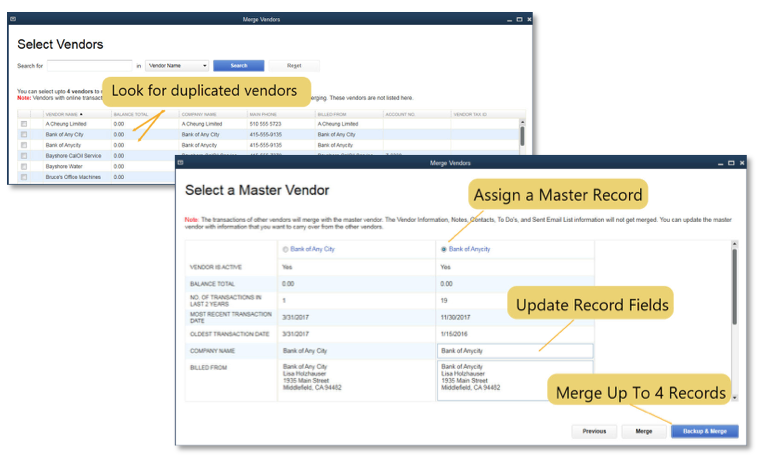 Only available in Advanced Inventory module, which is available in QuickBooks Desktop Enterprise Platinum. 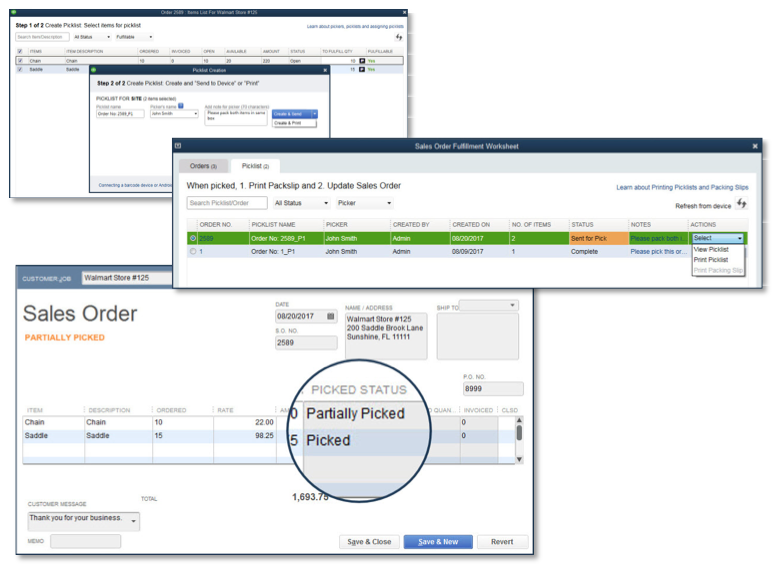 Learn more about Advanced Inventory http://enterprisesuite.intuit.com/products/advanced-inventory/. 5 For more information on scanners or devices recommended, click here.